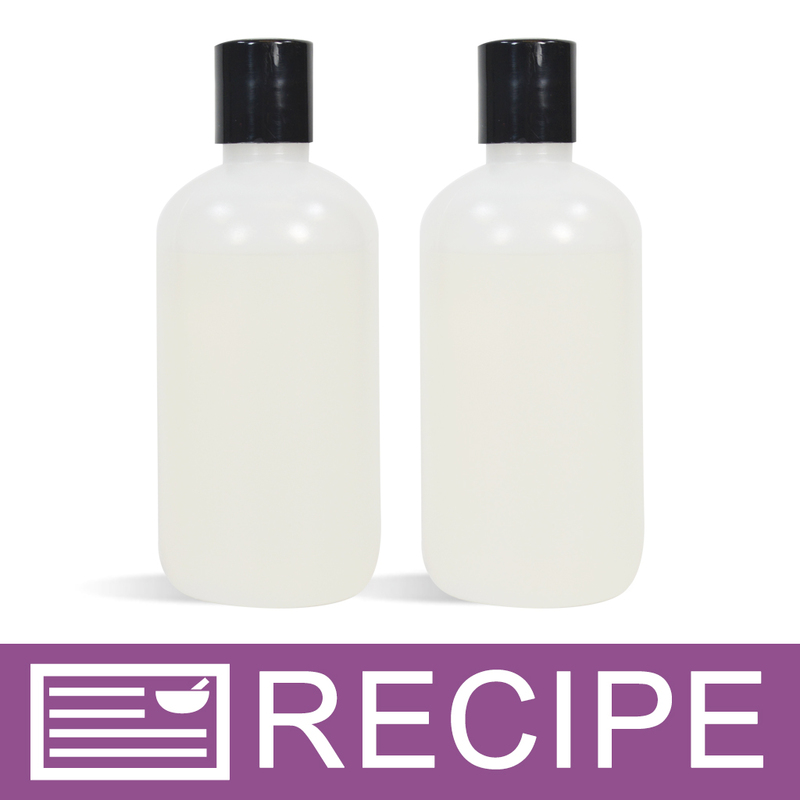 COMMENTS: Great natural cover that works well with my 2 oz natural bottles. COMMENTS: I actually purchased these by mistake. They appear good quality and have a favorable appearance. COMMENTS: These are great atop my shower gel bottles! Seals everything in great, no leaking. COMMENTS: I love the natural tops, I paired them with the natural bullet bottles and they give my product line a clean look. My customers always compliment me on my product packaging. Thank you WSP! "Great quality and as always perfect price and serv"
COMMENTS: I can always depend on what I need with my closures and containers with the price and quality. Perfect service! "Best price for quality "
COMMENTS: I haven't seen a better price on bottles, jars and closures anywhere. Other suppliers may seem to have lower prices, until you calculate shipping, which is usually outrageous. Overall, great quality and price! COMMENTS: I use these with the natural bottles and they look great. No problems so far with leaking. COMMENTS: These tops are amazing. I can use them with multiple products and even recycling is possible. Perfect for what I need! COMMENTS: Great quality, will buy again! COMMENTS: My go to tops in white and black. COMMENTS: A Great finish and professional looking. Great price, good quality. TY WSP! COMMENTS: These are quality caps that can be used for many different products. They fit well, look great and don't leak. COMMENTS: If you are looking for nice clear sturdy tops for your lotions. These work great in lieu of the pumps. COMMENTS: These lids are great, worked well and didn't leak. I ordered a package of 12 and only received 10. I emailed customer service and received an email back in less than 30 minutes that they were sending out the missing 2 lids. GREAT customer service! COMMENTS: I like these tops for single hand use when you need another hand free to capture the product . COMMENTS: I use these on the 8 oz natural plastic bottles for my shower gel. Seals nice and tight and doesn't leak during shipping. "24/410 natural smooth disc top"
COMMENTS: Have been buying these for a few years. Never disappointed! Well-made and great price! "Nice Caps for my lotions!" COMMENTS: These caps fit and work well to top my bottles of handmade lotions. Will buy again! "Had to buy some more because of demand "
COMMENTS: I use these for my Shower gels, doggie soaps and all my bottles. Always seem to run out. "Pairs well with my bottles for lotion"
COMMENTS: Purchased these to go with the 4 oz clear plastic bottles I got for my lotions. I like the disc top with the bottles I got. They make it very easy to squeeze out just the right amount of lotion you want. They fit & seal well. I will continue to pair these tops with my lotion bottles. Excellent pricing on these as well. COMMENTS: So far I've only used this lid on the bottles for my bath salts. I love that once the salts are gone the bottle can be used for lotion, bath wash, or bubble bath. COMMENTS: Love these lids...so smooth. COMMENTS: Sturdy and doesn't leak!! COMMENTS: These caps are very nice and work well for our products! "Love that it is natural "
COMMENTS: Easy to use and look wonderful. COMMENTS: Used this natural color top to my liquid facial cleanser used with the 4 oz clear cylinder round bottle and have to say I love the natural look much better than white or black and was surprised. I felt it gave my product a better quality look. Dispenses well. COMMENTS: If I am going for a natural, organic packaging for my lotions and liquid soaps/shower gels, I use this top. It goes well with the natural bottles and does have a very organic simple look to it. COMMENTS: I've been using these natural color disc caps for years on my 2oz, 4oz, 8oz, and 16oz bottles. They work smoothly and are easy to one and close. COMMENTS: Perfect caps for my bottles. 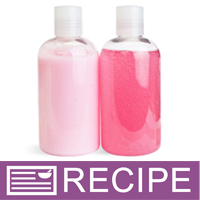 "Great cap for shower gels"
COMMENTS: Looks quite professional and easy to use. My customers love them for their shower gels. COMMENTS: These tops are easy to open & close, look great on the 4 oz Natural Cylinder round plastic bottles, they match this bottle perfectly!!! Love them!!! COMMENTS: I used these for shower gels & I loved them! I haven't used them with any other products yet, but I feel that they will also work well for other products with thicker consistency's. One of my shower gels contained exfoliating agents & it never clogged. These have a nice, clean look that I like. These will now be a staple in my line. COMMENTS: These are very durable and fit the bottles well. I (or my children), have dropped bottles in the shower and the caps would break, crack, etc. These caps however, have never cracked or broken. They also don't clog easily! COMMENTS: I have started using these caps instead of the white ones for my bath and body products. I think they give the bottle a nicer look. I recommend this product! COMMENTS: Customers love the flip tops!!! COMMENTS: Lids fit perfectly! Very happy with the product! Gives my creations a more polished professional look! Definate repurchase!! COMMENTS: Love that it is clear and you can see to clean it if you choose, good quality you can tell its not cheaply made. Great price and I feel it will last a long time. COMMENTS: Works great for the 16 oz bullet bottle. COMMENTS: These get the job done and are cheaper then a pump top. Haven't had any clogs, and I personally make a thick and creamy lotion! COMMENTS: Love these for the natural bottles. Open and close smoothly, disperse nicely. COMMENTS: Have no problems with these. Works great on matching bottle necks. "24/410 Natural Smooth Disc Cap"
COMMENTS: A really good cap for your bottles. It flips open and closed with the thumb when you are in the shower, whatever. So easy to use. I must have hundreds of these on hand all of the time. Nice in black and white as well. • Flips open/closed with one motion. COMMENTS: Easy to open and close, convenient, fits well, looks nice. COMMENTS: Fits great. And so many uses. COMMENTS: Make product look very nice. COMMENTS: I love these tops. They are so easy to use. The tops compliment the Boston round bottles beautifully. 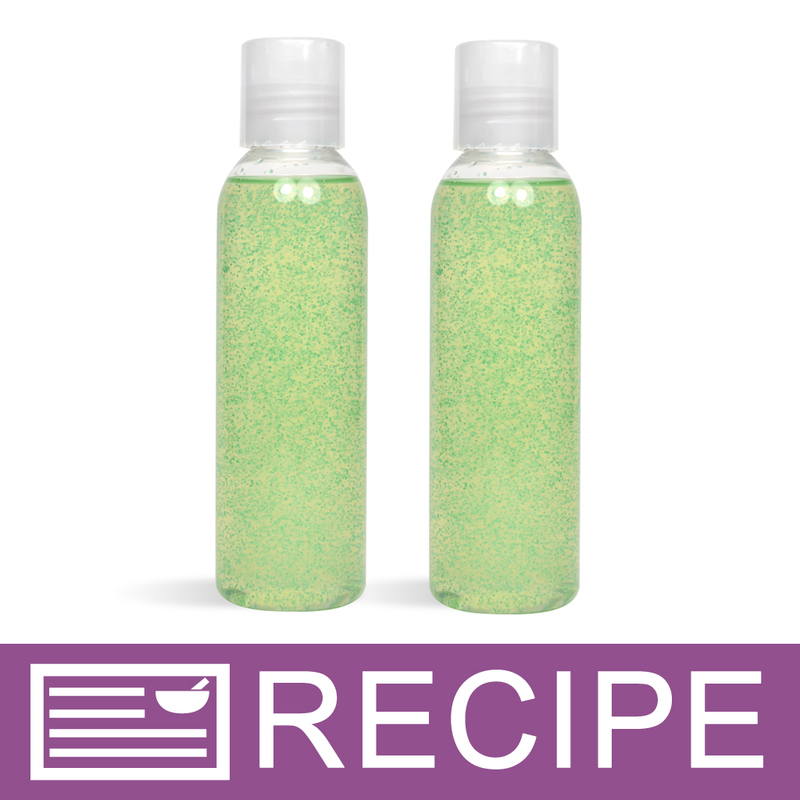 "Great compliments to boston round bottles"
COMMENTS: Love using these with boston round bottles for liquid soap. COMMENTS: Fits perfectly to bottles. COMMENTS: gives a very 'spa' look to my product. dispersed product nicely. gives a really classy finish to the package. head and shoulders above the ribbed ones. I use these to distinguish special, no soy or all special oil product lines. I would like more colors but only if they become a staple in the line. COMMENTS: I love that this cap opens and closes with the touch of a finger! Makes a great top for my body oils! COMMENTS: These tops go perfectly with WSP's natural bottles. They are great with dispensing products too. "Nice addition to any bottle"
COMMENTS: It fits just right. Very easy to use. COMMENTS: Great caps that serve their purpose well. I like the natural look so they look good on bottles. COMMENTS: My customers really liked these new tops. They look professional and match the natural finish bottles perfectly! The tops hold up well, don't leak, and come at a price that won't break the bank! COMMENTS: these are wonderful. the natural color is so much more appealing to me and these are perfect! "Easy to use, great quality"
COMMENTS: These are exactly what I was looking for. The perfect lids for my lotion bottles. They are a great price and work wonderfully. COMMENTS: Using for bubble bath. Dispenses so easily and it is durable. Perfect! COMMENTS: Love this top, inexpensive and since I'm doing natural products this is perfect. COMMENTS: These are a great addition to the bullet bottles! My product looks so professional! COMMENTS: These disc tops fit perfectly with the 8 oz. bottles. I've never had any of these leak. "Very sturdy top, professional look"
COMMENTS: Despite the wide variety of colored caps that WSP carries for the lip balm tubes, I find myself coming back to the natural every time! Not quite "clear" but transparent enough you can get a peek at the product inside, which is a huge plus to customers, and the "natural" finish means that you don't notice any minor scuffs, scratches, or flaws you may get in the plastic over time. Very sturdy, thick cap, Will stick with these as long as WSP keeps offering them! COMMENTS: Nice and Sleek for our Kueka bottles, love the look. They are pretty sturdy as myself as well as my customers have dropped the bottle numerous times and top has not cracked/split/come apart. COMMENTS: Looks great with all of the colored bullet bottles that WSP offers. COMMENTS: I used these for my body wash tops and performed flawlessly. I will purchase again. COMMENTS: I really like the way these seal up nice & tight on the bottles eliminating the need for press & seal liners during shipping. I use them on my bubblebath, showergel, and shampoo while shipping around the world. COMMENTS: Great price, very attractive and stwists on tight without cracking. Disc locks down tight, no need to worry about leakage, easy to use. My customers love it. COMMENTS: These look very nice with my bottles and as usual, no problems at all. 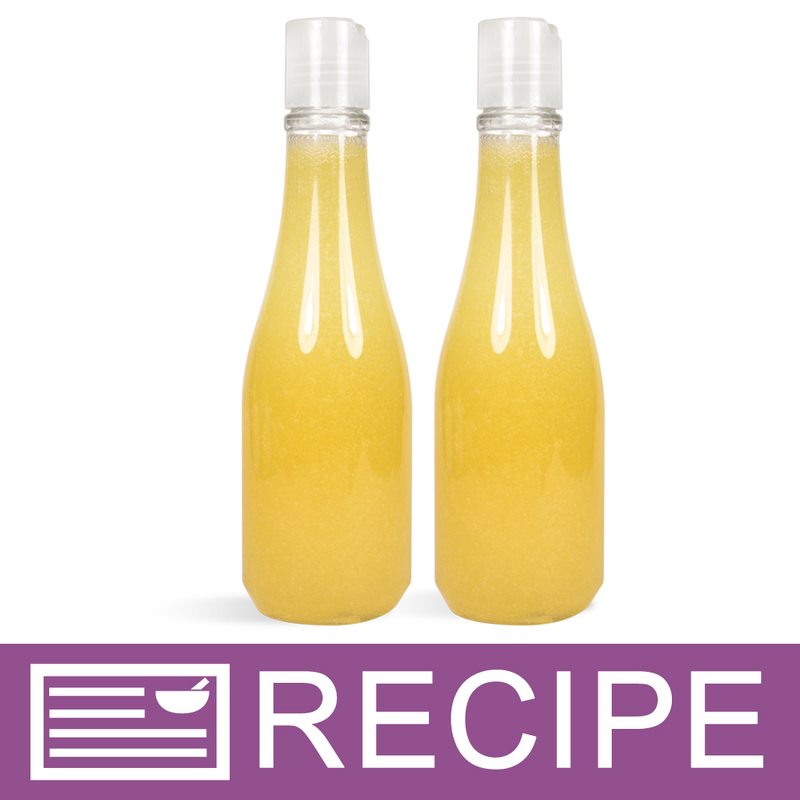 COMMENTS: These tops will give the best look to your bottles and will allow your labels to pop and stand out. "Would the 40x40 shrink wrap bands be the best for these?" Staff Answer We would recommend using the 50 x 55 shrink band for this cap. "Does this cap have to be completely unscrewed and removed to access the product or is it the type of cap that can be pressed along one side of the top and part of the cap pops up so the product can be squeezed out without completely removing the cap? I cannot tell from the picture." Staff Answer A disc top is the kind where you push down one side and the other pops up with a hole for dispensing the product.